Some furniture pieces can last for centuries. 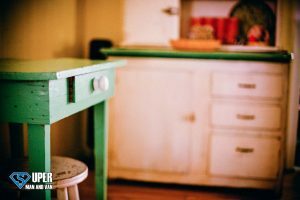 Unless you have some antique pieces that belonged to your great-great-grandmother that are passed from one generation to the next, you are aware of the fact that your home furnishings have a limited lifespan. Obviously, there is no expiration date but depending on the construction, materials, the amount of care and other factors, most furniture has a certain lifespan and need to be replaced when the time comes for that. For example, if you are moving to a new house, use this unique opportunity to replace your i>10-year-old sofa or your 5-year-old coffee table. If your sofa is smelly, covered in stains that cannot be removed or it’s peeled, you need to replace it. Additionally, if the cushions are sagging and it is screeching and squeaking and you have no lumbar support when you sit on it, a replacement is needed. If you cannot afford to replace and buy new items, at least you can change the upholstery. You will probably need to replace your bed if your bed frame starts to creak. Headboards often end up intact and can be used longer than frames so you can only buy the frame and keep the headboard. Also, you need to replace your kids’ beds when they outgrow their current ones. As far as mattresses are concerned, get a new one once you feel that your current one doesn’t provide the support you need or if it smells and have stains that cannot be removed. Considering the fact that you spend 40 hours per week sitting in your office chair, you will need to replace it after 6 or 7 years. Depending on the fabric and the cover material, it might last up to 10 years. As soon as you see that sitting on it is uncomfortable and it doesn’t provide a lumbar support, it is time for it to go. But, what should you do with old furniture? If your furniture is broken and no longer safe for use, schedule a garbage pick-up with a local municipality. If you have pieces that are still usable and in good condition, contact thrift stores or charities and donate them. You can organise a yard sale to sell furniture or do it online.